Eminence Organic Skin Care believes in providing the best skin care products possible. Our products are proudly free of parabens, animal by-products, propylene glycol, sodium lauryl sulfates, harmful colorants and fragrances, mineral oils, petroleum, and other harsh cosmetic chemicals. The gentle alternative to plastic surgery, a holistic method has been developed to help the skin regain its smooth, youthful appearance quickly and then maintain an even, radiant complexion. This comprehensive array of products maintains the results of therapeutic treatments, supports daily skin health and provides protection from the environment. Lalicious uses high quality natural ingredients like Coconut, Sweet Almond, Vitamin E, Macadamia Nut and Marula Oils in formulations that are nourishing to the skin & body and provide natural hydration that lasts all day. 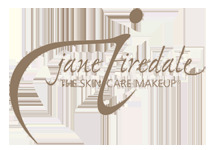 All of our formulas are paraben free, gluten free and sulfate free and are never tested on animals. The Amazon’s most potent beauty secret can now be yours with Rahua, a luxurious collection of 100% natural hair care products. The key to Rahua’s outstanding performance is its molecular structure. Unlike other botanical oils that simply coat strands, the extraordinarily small Rahua oil molecule deeply penetrates the hair’s cortex – bonding and repairing it – while simultaneously smoothing the hair’s cuticle. Seaflora, works with the mysterious marine and thalassotherapy elements of wild seaweed, ocean mud and marine minerals. Seaflora loves working with these wild ocean resources to design and manufacture for the spa industry, worldwide creative seaweed skincare and spa treatments that surpass all marine skincare products on the market.